Bara Brith – Fruited bread from Wales of which there are many varieties, some made with yeast and others baking powder. Traditionally eaten sliced and buttered. Barrel – Usually made with a milk bread dough, baked in a ridged mould. Also known as a pistol. Batch – Loaf baked in a batch with others, rather than separately, wholemeal. 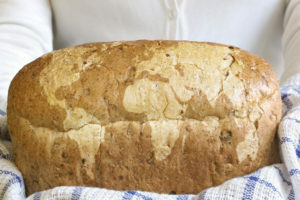 Bloomer – Thick, long, white loaf, lightly cut across the top so that the cuts open out or ‘bloom’ to give a crisp crust. Sometimes sprinkled with poppy seeds. Buttery Rowies – Traditional Aberdeen butter yeast rolls. Shaped in a round or oval with a crisp crust and light flaky texture. Cob – Round smooth crusted loaf often topped with cracked wheat. Coburg – Round, crusty white loaf with a deeply cut cross on the top. Cornish Splits – Sweet, light yeasted buns enriched with butter and milk. Also called Devonshire splits. Often dusted with icing sugar and traditionally eaten filled with jam and clotted cream. Cottage – White loaf made from two round pieces of dough. One (smaller than the other) is secured on top of the larger piece. Often dusted with flour before baking. Farmhouse – White loaf baked in a special tin and cut lengthwise along the top, often dusted with flour. Plait – A special shape, usually plaited with three strands of white dough, sometimes enriched with eggs or milk. 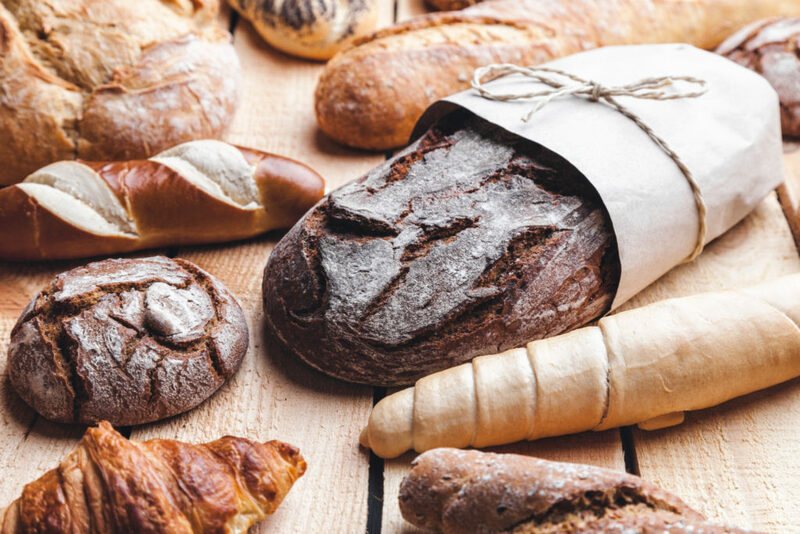 Rolls – Many different varieties, shapes and sizes ranging from crusty white rolls to soft wholemeal baps. Sandwich – Large flat-topped loaf baked in a lidded square tin. Sliced wrapped – With many different varieties including white, brown and wholemeal, the sliced wrapped loaf is a convenient bread which makes perfect toast and sandwiches. Soda Bread – Flat, round, heavy loaf usually marked into quarters and risen with baking powder, not yeast. Soda Bread comes originally from Ireland. Stottie – A flat round large bap from the North East of England. The Geordie stottie has a fluffy texture and was often traditionally eaten filled with bacon and pease pudding. Tin – Loaf baked in a rectangular open tin. Baguette – Originally from France, the baguette is now sold around the world. Rather than buy one, why not try our recipe? Brioche – Originally from France. A highly enriched French bread, noted for its high butter and egg content, commonly served as a component of French desserts. Balep Korkun – A flat, Tibetan bread made with Baking powder and fried in a frying pan. Bazlama – A Turkish flatbread which is usually eaten fresh. Cesnica – A Serbian soda bread. Damper – An Australian soda bread. 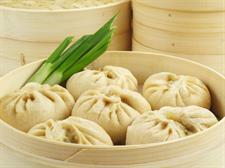 Mantou – A steamed bun from China made with white flour and often slightly sweetened. Melanpan – a Japanese bread made from enriched dough covered in a layer of cookie dough. 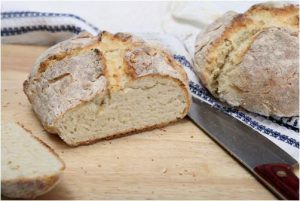 Pane Ticinese – This Swiss bread is distinguishable by its shape – it is composed of several small loaves or rolls made to be broken off by hand – and by the addition of oil to the dough, which makes the bread particularly soft. Vánocka – Traditionally eaten in the Czech Republic and Slovakia, the dough is enriched with egg and milk to form a bread which is similar to a brioche.